DJ Khaled's "I Got The Keys" Music Video Featuring Future & Jay Z Premieres, So Did It Live Up To The Hype? Hey, did you guys know that DJ Khaled doesn’t just the star of a very popular Snapchat channel? He’s actually a musician, too. I’m just kidding — of course you know that, he's fresh off a spot as one of Beyoncé’s opening acts! And now, DJ Khaled is getting set to release a new album. The first single is called “I Got The Keys,” and DJ Khaled just premiered the music video for it minutes after the 2016 BET Awards. According to The Source, Major Key comes out July 29, so DJ Khaled is giving his fans a whole month to enjoy the new single before buying the whole album (it’s available for pre-order right now). 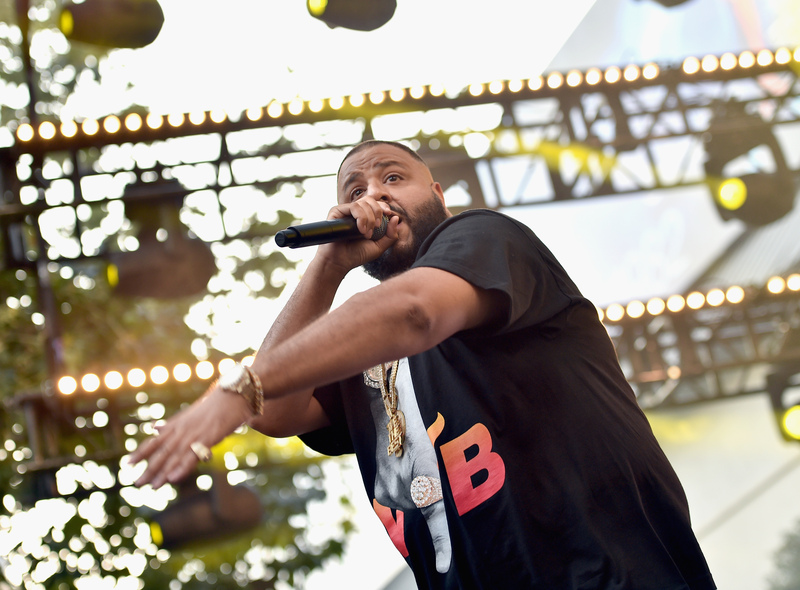 DJ Khaled was all over at the 2016 BET Awards, performing during the pre-show, giving away an award during the show (during which he plugged the song and the new album, of course), and then premiering the video after the show. Featuring Jay Z and Future, we all knew the song “I Got The Keys” was going to be great — but did the video live up to the hype that DJ Khaled was giving it? DJ Khaled is the hype man to end all hype men, so it's understandable why he'd talk up his own video so much, but to me, the song and video seemed to be so different, it was actually distracting. There was a lot of footage of men in prison that didn't feel particularly connected to the song itself, which took me out of the experience a bit. However, there was one powerful moment: When Jay Z, DJ Khaled, Future, and the other men in suits stood directly in front of a group of white police officers in riot gear. The trio of men rapping at them was an important scene, possibly referencing protesting against police brutality — the video would have made a bigger impact if that powerful image lasted longer in it. Still, though, considering the lyrics have sections like "My swag different, that bag different/My wife Beyoncé, I brag different," which are not at all political, seeing the video itself get political highlighted a disparity between song and video that was difficult to ignore. I appreciate DJ Khaled and company not wanting to make another "girls on boats" music video, but I'm not sure this song fits this music video and I wish their message was highlighted in the lyrics as well. In any case, DJ Khaled's newest video is officially out, so you can watch it and decide for yourself if you think it was worth all of his hype.